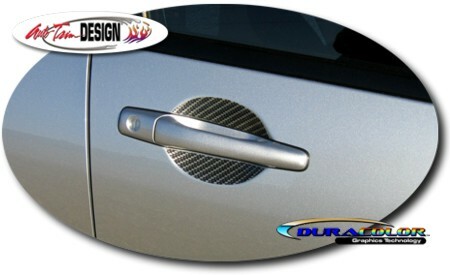 Highlight your Mitsubishi Lancer & Evolution's ('02-'06) door handle wells with these unique Simulated Carbon Fiber decals. The eight (8) piece kit comes complete for all four (4) doors. They are very easy to install and look Great!